2015 IT Direct Exclusive. Limited Edition 500. Anthony Julian is a fully articulated vinyl figure with sleek rooted curly and flocked hair. The man of the hour comes dressed in one of his key looks from the hit 80's animated TV series. 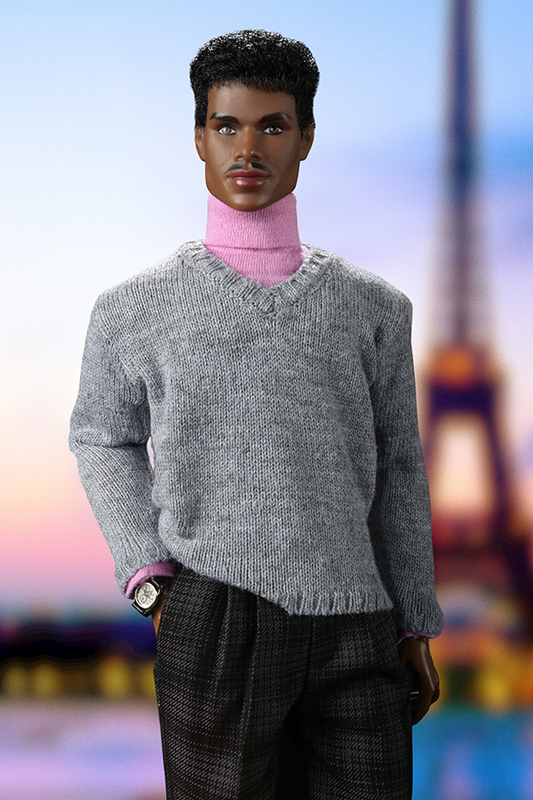 His elaborate layered outfit sends us that "oh so 80s" vibe with his turtleneck, v-neck knit sweater and plaid pants, topped by his signature royal blue driver coat, perfect for those late night takes out by the chilly banks of the Seine river in Paris. Of course, no film Director would be complete without his stylish watch, bullhorn (plastic) and movie clap board (cardboard)... Cut! It's a Wrap! For adult collectors ages 15 and up. Figure cannot stand alone; stand included.